A major addition to the Potter County Historical Society’s museum on North Main Street in Coudersport was dedicated on Sunday. The new Farm Equipment Shed is the culmination of a multi-year effort to establish a permanent collection that traces the history of local agriculture dating back to Native American practices. Many of the vintage pieces, including farm equipment and implements, could not be practically exhibited in the museum, so directors embarked on a plan to establish a shed on museum grounds. Even the shed itself has been constructed as a historical exhibit. Society officials dedicated the exhibit to the late William L. Roberts of Coudersport, a devoted and respected agriculturalist, archaeologist and artist/craftsman. He died last October at age 102. Bill was associated with Barnett Brothers Headwater Potatoes of Ulysses for more than 60 years. In 1988, at age 73, he received a master’s degree in anthropology from Penn State University. Part of his studies was an archaeological investigation into the agricultural practices of Native Americans in the high altitude, cold climate areas of Potter County. 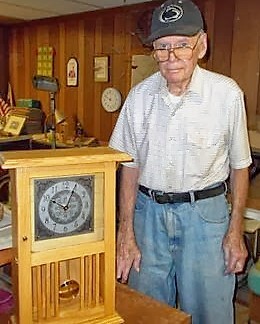 He was active with the Society for Pennsylvania Archaeology and the Potter County Historical Society. Bill not only built his own house, he also enjoyed making copper weather vanes, iron railings and multiple woodshop items, many of which were donated to non-profit organizations. 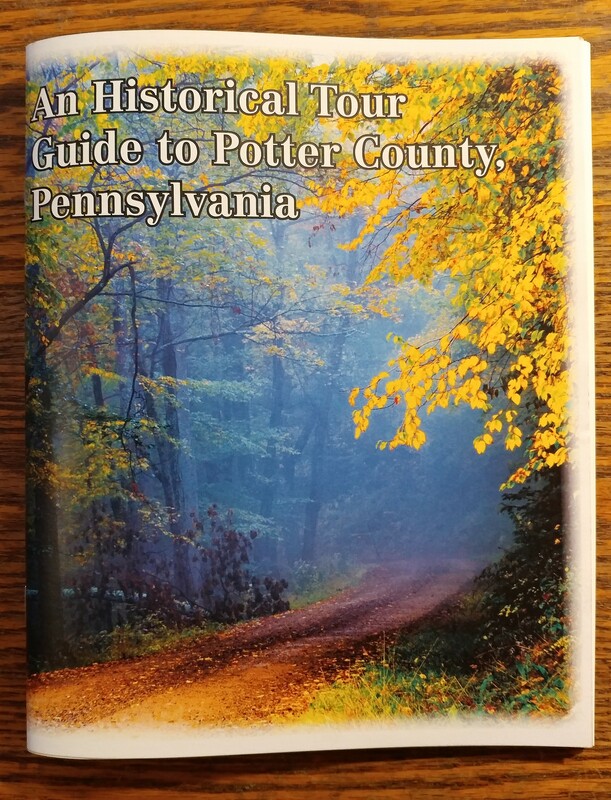 Potter County Historical Society has released a new guide that offers six options for those who wish to explore the county’s roots. It’s designed as a tool to deepen local residents’ appreciation of their heritage and assist tourists who are looking for interesting adventures, according to society president David Castano. Copies of the 80-page booklet are available at the PCHS museum on North Main Street in Coudersport. Six routes are laid out in the guide based on regions of Potter County. The booklet contains summaries of local industries, individuals and communities. Road maps with directions have been added to each section. Dozens of archival photos provide an important visual element to the engaging text. On the Northwestern Tour, drivers can see the site of a palisaded Native American village dating back to the late 15th century. The Southeastern Tour recalls the rise and fall of the village of Cross Fork, which was teeming with a population of 2,500 or more residents plus twice that many itinerants during the lumber book of the early 20th century. PCHS dedicated the booklet to the late Bob and Maxine Currin, each of whom was active with the society. 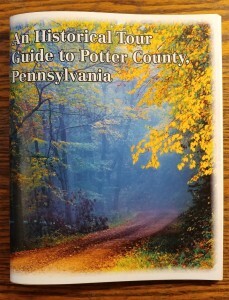 They were known to take regular driving tours to explore Potter County history. David Castano wrote most of the text. Barry Hayman also contributed. Pictures came from the Historical Society archives and from local professional photographer Curt Weinhold. Tours were developed by Judith Mack Castano. Mikell Haskins, Dorothy Smith and Bill Morey assisted with research. The guide was also supported by Gary and Diana Buchsen. Zachary Williams designed the booklet and composed the pages.